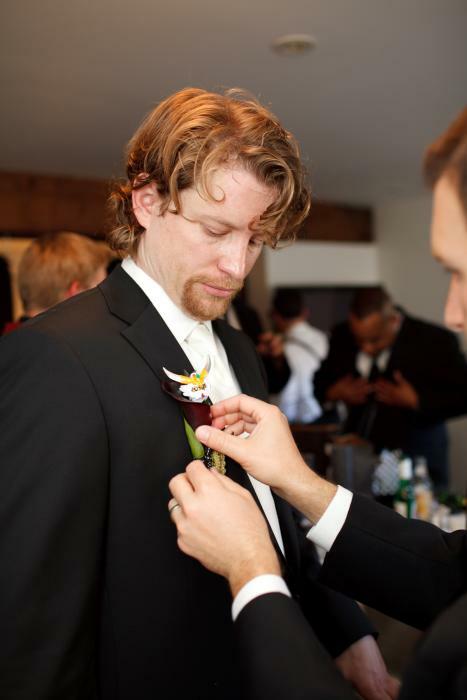 I came across an article in Brides.com about Unique Wedding Boutonnieres and it made me think back a few years. Brenna, a dear friend and former client put the trust in me to not only coordinate her wedding but also take part in creating her flowers. 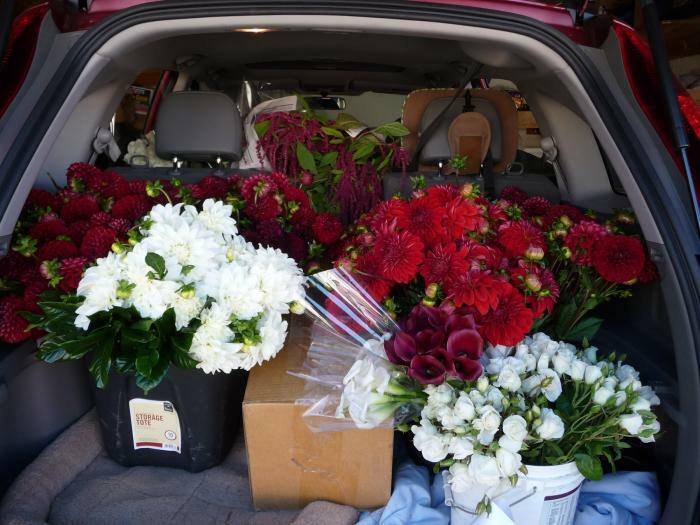 We met at the SF Flower Mart a few months before the wedding day to scope out what was available and then we went back a few days before the wedding at 2 AM in the morning to pick out the cream of the crop. Brenna has an exquisite taste in colors and flowers and endless creativity. She was able to with pictures and detailed descriptions tell me what she wanted her bouquet and centerpieces to look like. Brenna's dad had created these amazing toy robot heads that we put into the bud of a Calla lily. I'm not sure if I will ever have a bride top this creativity. 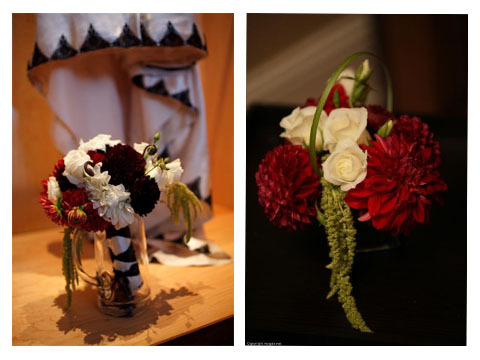 To top off the creativity, Brenna asked each bridesmaid to make their own bouquet. We set up flowers, ribbons and tools right after the rehearsal on the evening before the wedding. It took them less than an hour, the girls had a blast and the end result was amazing.